The man asked Evenson to pull the knife out of his chest, but Evenson didn’t comply out of fear the bleeding would increase. He did his best to calm the injured man and attempted to call 911, only to find that his phone had frozen up. Desperate to obtain help for the man, Evenson pounded on the door to the complex office, shouting that he needed help. An employee let him in to call police and EMTs. Evenson remained on scene until police arrived and the victim had been cared for. After providing a statement to police, Evenson continued on his route. The victim survived the stabbing and the suspect was arrested soon afterward and charged with attempted murder. Sterling/Burr, NE, Rural Carrier Jimmy Williams. In late June, a postal customer lost her footing in her home and fell. As hard as she tried to get up, the injuries she sustained prevented her from doing so. She called out for help, but her husband was busy working in a field more than two miles away and couldn’t hear her. Fear began to tighten its grip on her thoughts when her cries for help gained the attention of a familiar face. 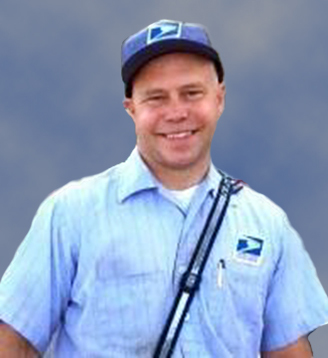 Sterling/Burr, NE, Rural Carrier Jimmy Williams was in the process of delivering mail to the customer when he heard the call for help. He immediately rushed to the customer’s side to render aid. The customer told him about her husband’s location in the field and asked Williams to bring him back to the house. Williams agreed and drove to her husband’s worksite. He found the man a quarter of a mile into the field and told him about his wife’s situation. The two returned to the house and called emergency responders shortly thereafter. 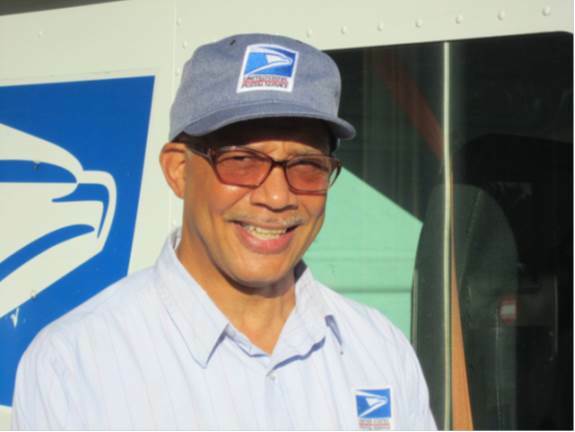 After he helped secure the woman in the ambulance, Williams returned to his route and finished his deliveries. Williams’s actions to help his customer set her on a path to make a full recovery from her injuries. City Carrier William Searuggs. Photo by: Linda Neill. Opening the door to the home and entering the residence, he first noticed blood on the wall, and then found his 86-year old customer on the floor, unable to get up, bleeding from the back of his head. To reduce the flow of blood, Searuggs elevated the customer’s head, using a towel to stem the bleeding. He called 911 and stayed until first responders arrived. According to family members, the customer had fallen on the porch, striking his head on the cement. He also suffered several broken ribs. The customer was able to walk inside, but grew dizzy and fell again. Extensive local media coverage followed. The daughter of the customer credits the carrier for saving her father’s life. “He was on blood thinners and probably didn’t have much longer to live,” she said. Fourth of July is about freedom, liberty, and the birthday of the country. 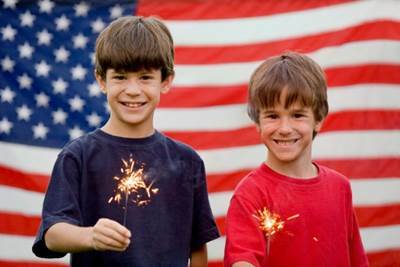 While celebrating independence this year, many will watch fireworks and enjoy family gatherings. 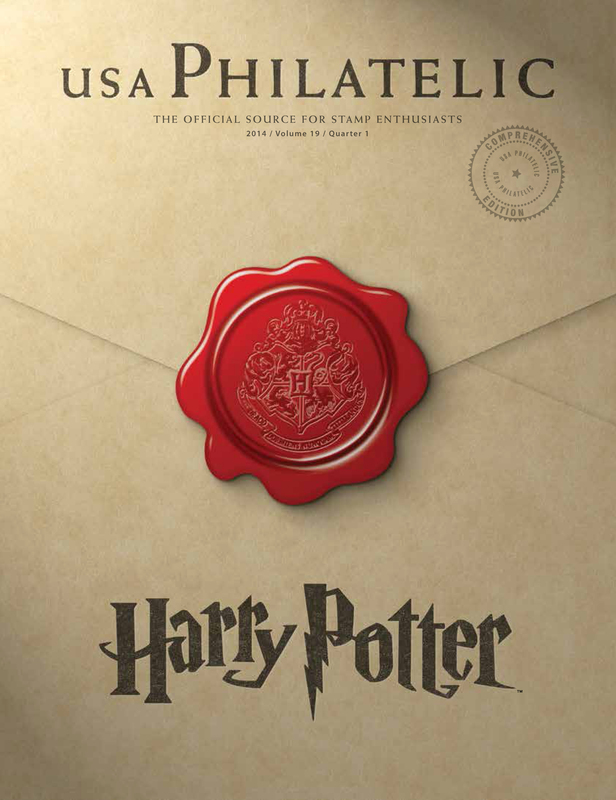 As the day is celebrated, make sure to do so safely. According to the Consumer Product Safety Commission, approximately 10,500 people were treated for injuries related to fireworks in 2013 and required emergency medical treatment. About 30 percent of these injuries were sustained by children younger than 15. Light fireworks one at a time, in a clear outdoor area away from onlookers, houses and flammable materials. Keep a bucket of water nearby to fully extinguish fireworks that don’t go off or in case of fire, and do not try to re-light or handle malfunctioning fireworks. If you are in an area experiencing drought-like conditions, reconsider using fireworks due to the increase in fire risk. “Safe and sane” fireworks are neither. Fireworks and sparklers are designed to explode or throw off showers of hot sparks. 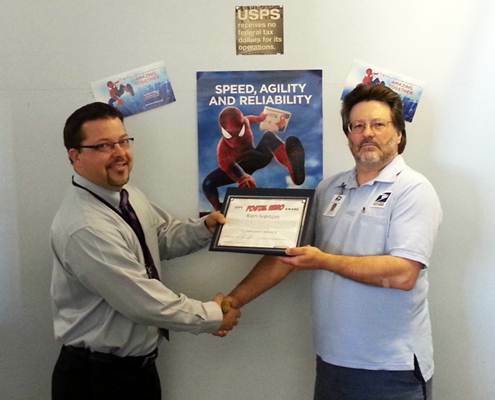 Sparklers can burn to about 2,000° F.
Postmaster Daniel Day presents City Carrier Ken Iverson with his Postal Hero Award. On March 8, 2014, while attempting delivery of a package to a resident on his route, Mountain Home, ID, City Carrier Ken Iverson heard a loud crash from inside the residence. He knew the resident was an elderly woman who lived alone and became concerned that she was injured. He investigated and soon realized that she had fallen and badly injured herself. He entered the residence and provided needed assistance. 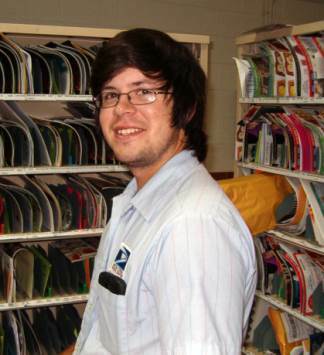 Iverson’s concern for his customer and quick actions were instrumental in getting emergency medical attention to the resident who would have otherwise been unable to contact emergency services. 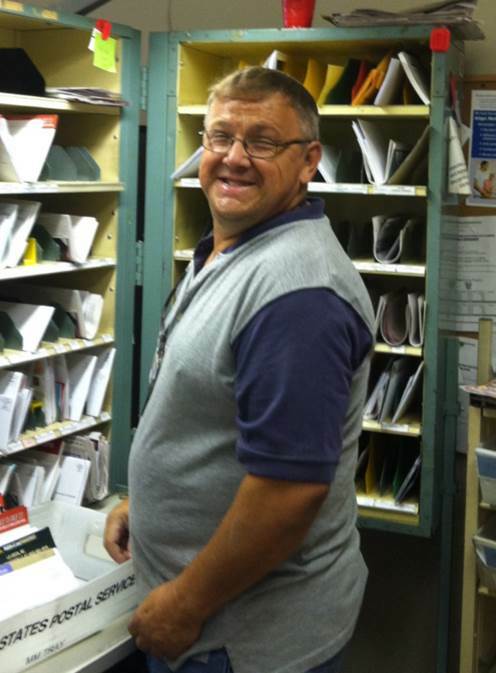 “Ken’s actions in this case are a testament to his character and are a reflection of a proud team of employees at the Mountain Home Post Office,” said Mountain Home Postmaster Daniel Day.